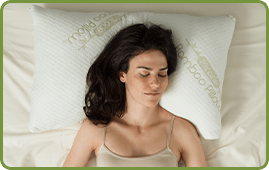 With the ORIGINAL Miracle Bamboo† Pillow™! 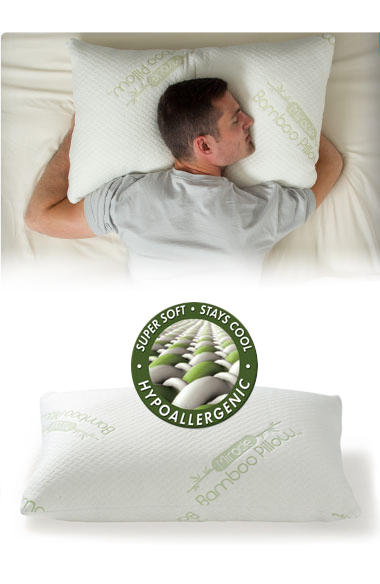 Using super soft viscose made from Bamboo, the Original Miracle Bamboo† Pillow™ is softer than cotton, stays cool at night, and best of all it's Hypoallergenic! 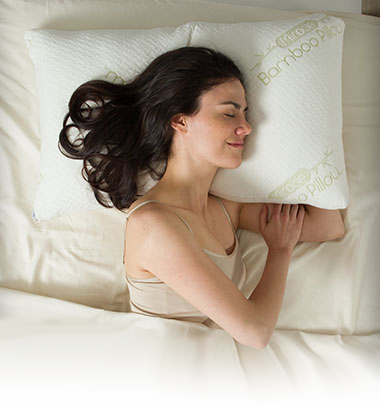 The Original Miracle Bamboo† Pillow™ is soft, shapeable and cool – the perfect pillow for any sleeper! 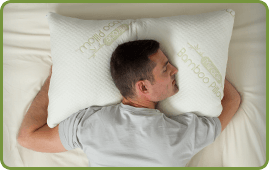 Filled with shredded Memory Foam – the Original Miracle Bamboo† Pillow™ is the only pillow that hugs you back! 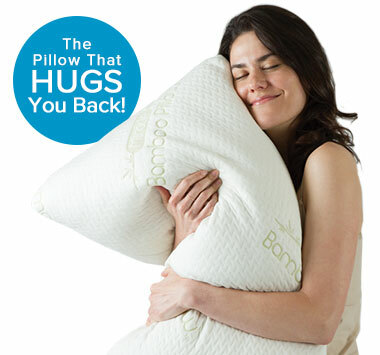 Superior Comfort & Support... Guaranteed! 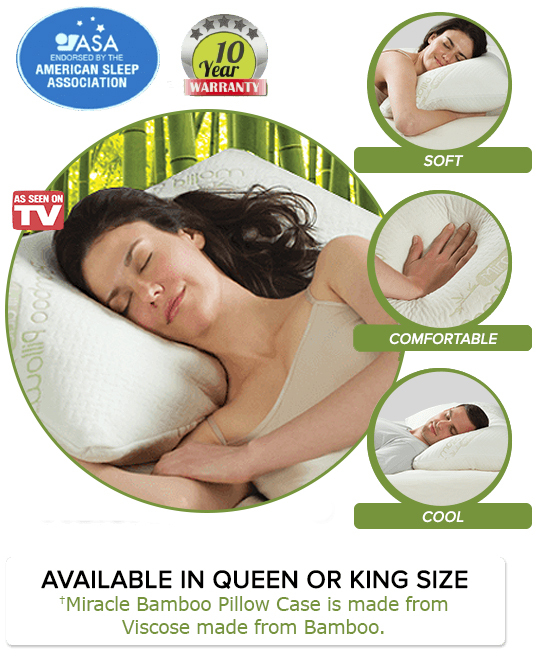 Offer Details: Miracle Bamboo Pillow Queen Size for just $49.99 plus FREE Shipping & Handling and get a second Miracle Bamboo Pillow for $20 OFF. No additional S&H. 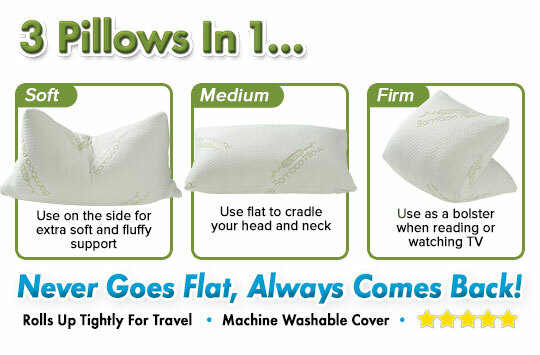 Usually Ships in 1 Business Day. 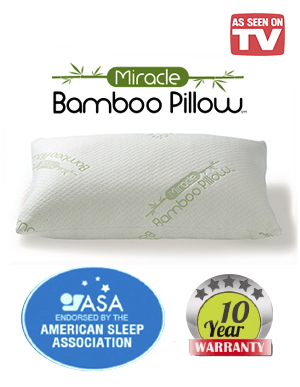 †Miracle Bamboo Pillow Case is made from Viscose made from Bamboo. “Thane” and related logos and variations are trademarks or registered trademarks, in Canada and/or other countries, of Thane IP Limited and/or its affiliated companies. 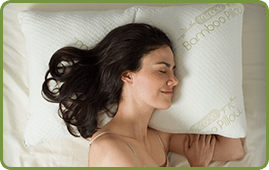 “Miracle Bamboo Pillow” trademark used under license.